And thanks to all of you, it came true today. 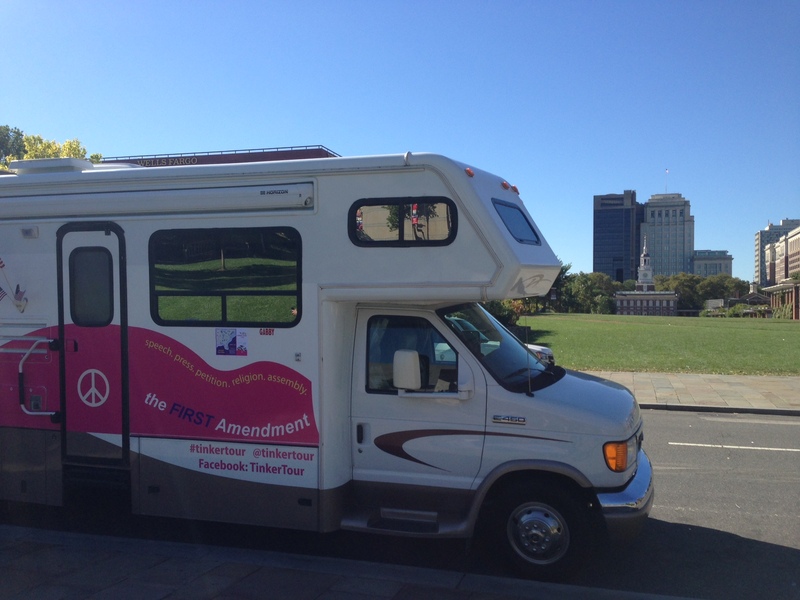 The Tinker Tour bus parked on Independence Mall in Philadelphia for today’s Constitution Day ceremonies. Independence Hall, where both the Declaration of Independence and the U.S. Constitution were debated and signed, is in the background.